Gift ideas for military pilots. 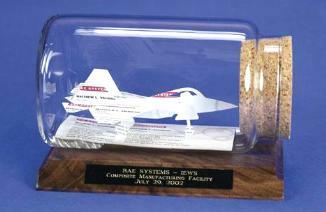 One of our latest creations, F22 Jet Sculpture was created especially for 40 members of the F-22 Raptor development team. A great gift idea for military pilots or aviation buffs – anyone connected with aviation! For other gift ideas for military pilots, check out our C-17 Transport, Learjet, Jet Fighter and Helicopter!